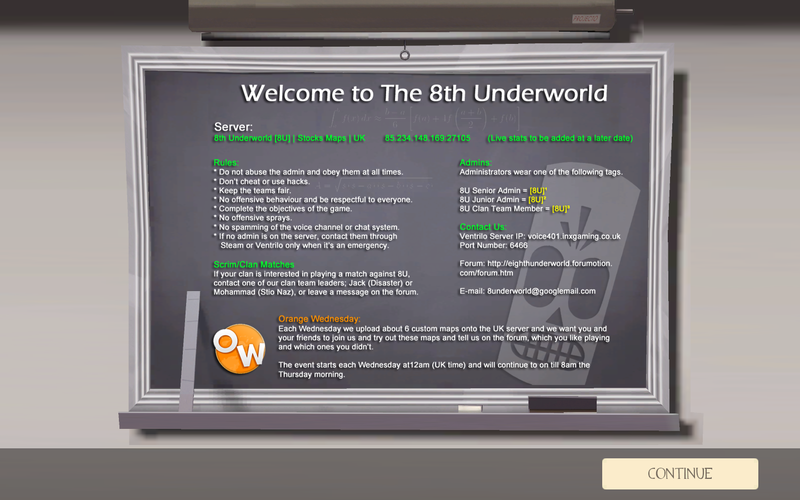 We all know that the Message of the Day for the TF2 servers need redoing. I know Lewis was/is working on this, but I'm not sure how far he has got with it. So I'm sorry if I've step on your toes here, but I wanted to get a few ideas down, because I found a couple of good web-pages from specialattack.net, who have created a brilliant little tutorial on how to do these right, also showing you some cool features you can add to 'Messages of The Day' images. I have come up with a draft design for the new MOTD and what I'd love to add, (which specialattack.net show you how to do is), putting live server stats on MOTD. 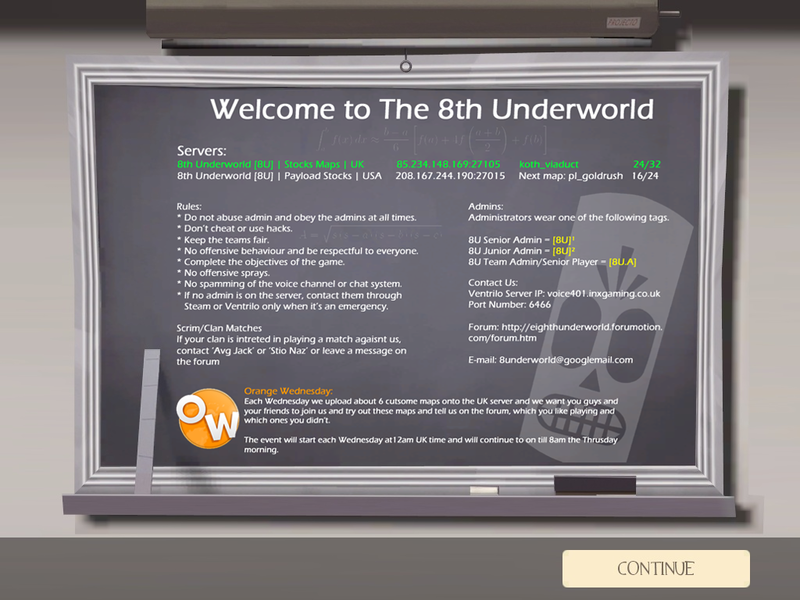 So if you join the UK server, you can see how many people are playing on the US server and what map it is on or changing to and vice-versa. All the images are in the new DropBox account, so please ask me for the details if you would like to work on it. What I did instead of sleep. Come on, cut him a break, his spelling isn't THAT terrible. I can only see two spelling mistakes, so for me that's pretty good. The two graphical mistakes are the title at the top is not in line and the text about 'Orange Wednesday' is also not in-line and is not at the right font size. So either yourself (Lewis) or James (you may need Ben to help out on the HTML coding for the live stats), now finish this off and get it up onto both servers a.s.a.p. 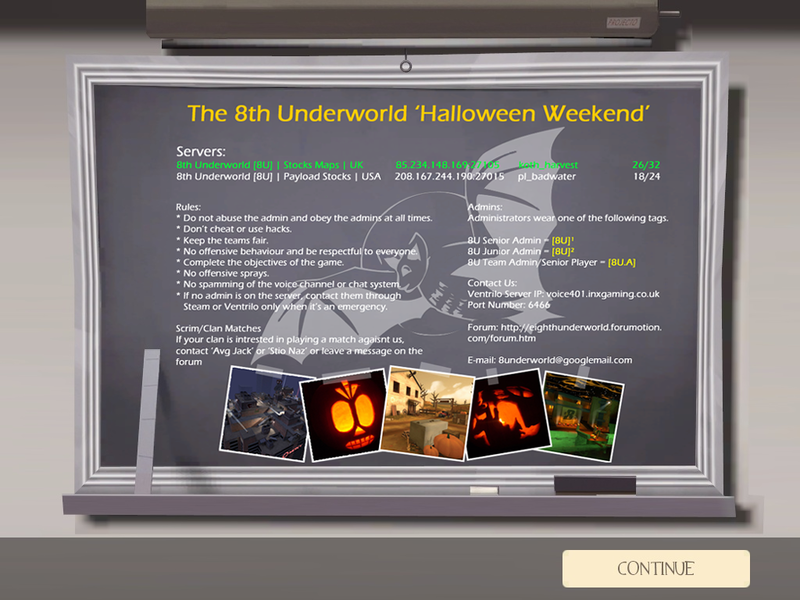 So what do you guys think of this for the Halloween weekend (long weekend), on the 30th, 31st October & 1st November? 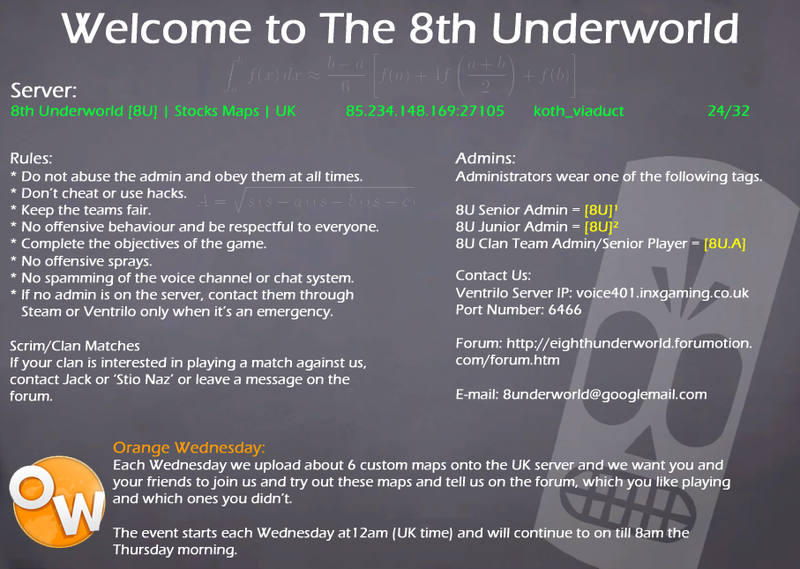 I just redone the image to take into account that we don't have the US server any more and corrected the spelling mistakes. 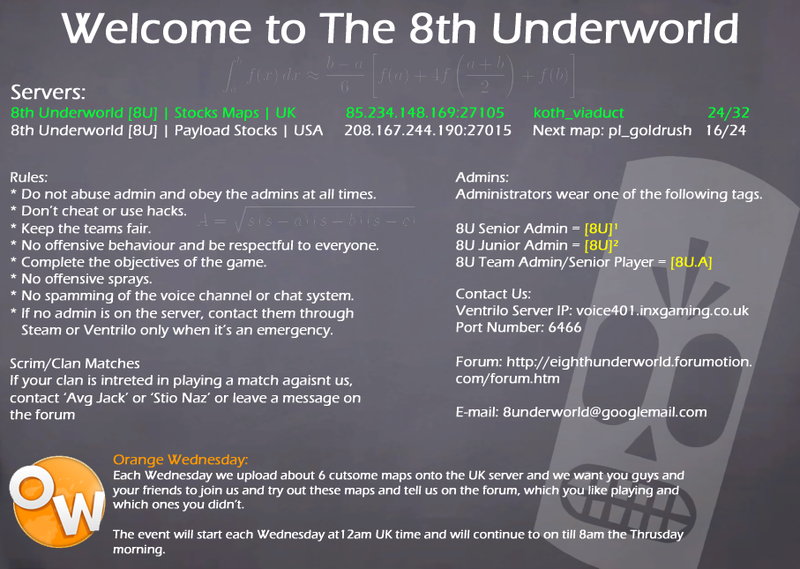 After much talk and hard work, we finally got the new MOTD coded and uploaded onto the server. Thanks to Ben who guided me on the external HTML. It took several attempts getting it to work right, but we got there in the end. While nobody was on the server late tonight, I did a little editing of the text and got the image to appear so that background image blends in perfect backboard image from the game. From what I can tell there's one little error in the text, but I'll correct that tomorrow.